"The Overlook" is a lovely, 1-bedroom honeymoon cabin near Dollywood in the Great Smoky Mountains that's perfect for your romantic getaway! 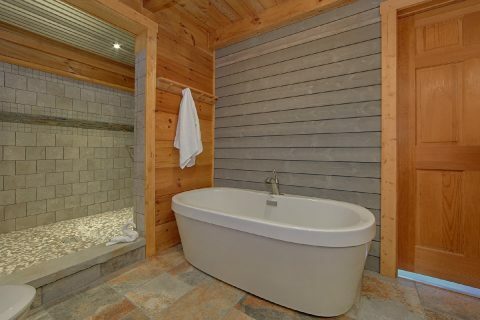 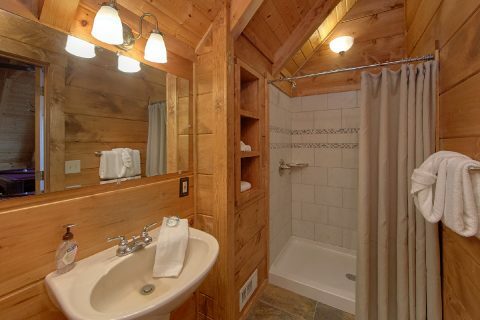 With room for up to 4 guests, this cozy cabin in the mountains is ideal for couples or a small family vacation. 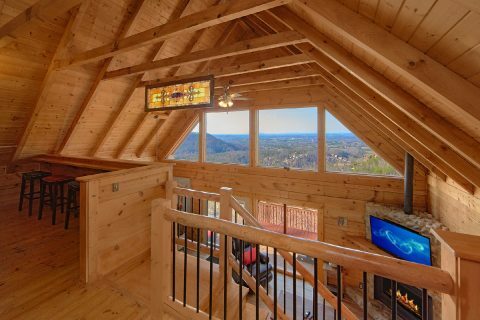 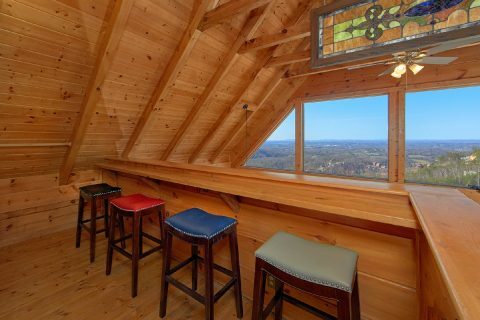 As soon as you see this cabin's excellent mountain location, you'll be glad that you treated yourself to a cabin with a view. 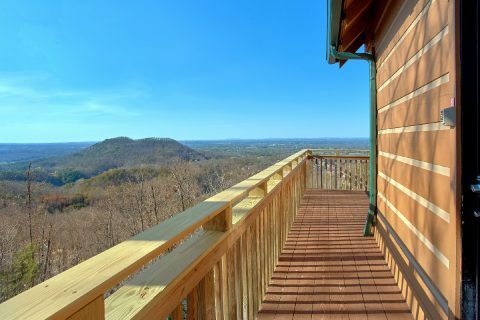 From the deck, you can see for miles and miles. 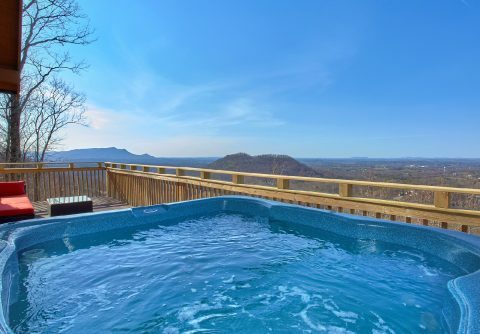 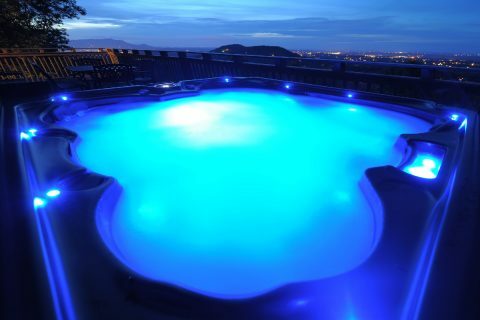 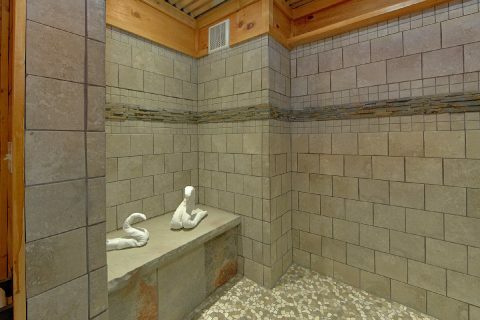 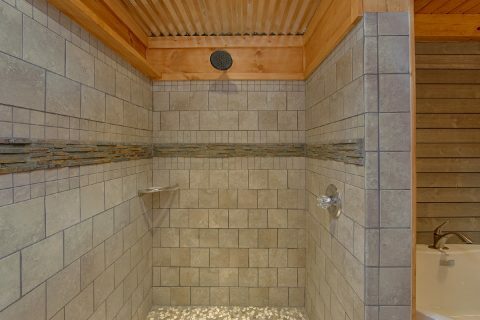 Better yet, you can always enjoy a relaxing soak in your cabin's outdoor hot tub while you take in the marvelous scenery. 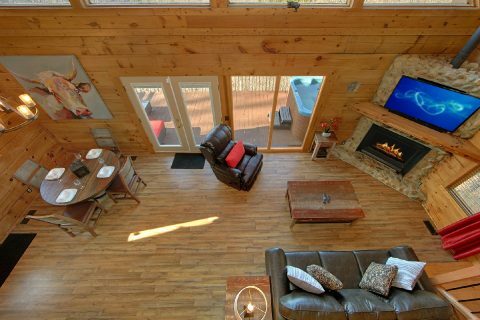 In the main living area, you'll find a gas fireplace and a television, the perfect place to curl up with your sweetheart for a relaxing movie night. 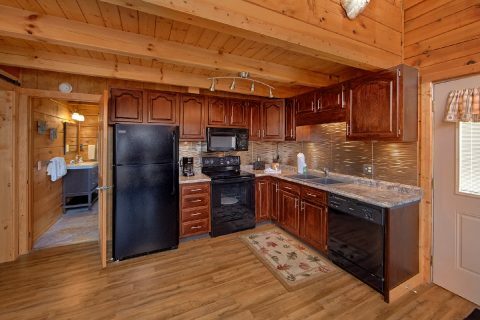 In the nearby kitchen area, you can prepare tasty meals for romantic candle-lit dinners in the comfort of your cabin. 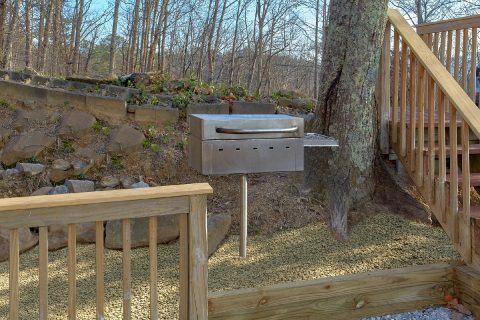 This rental also offers a charcoal grill, so you can even treat yourself to a delicious steak dinner. 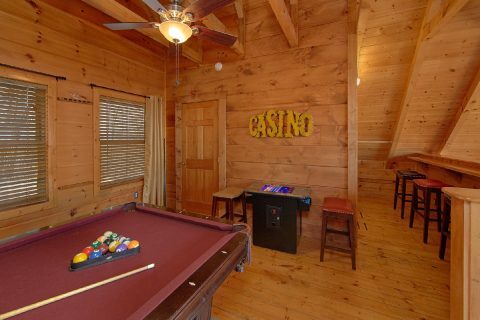 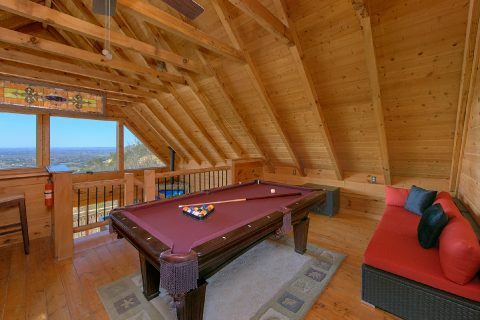 For some in-cabin entertainment, you can enjoy playing on the pool table in your cabin's game room. 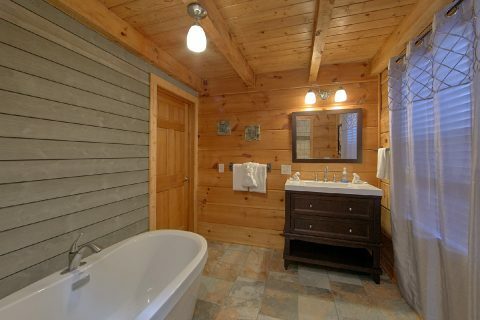 This rental also offers a wrap-around deck, a washer/dryer, and WiFi Internet access for guests to use. 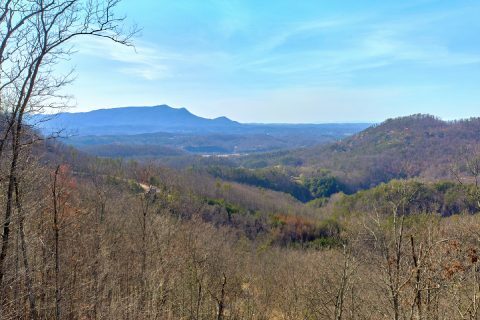 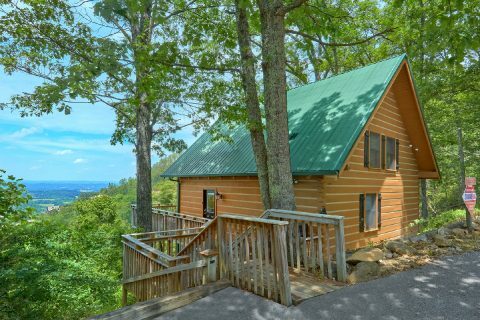 Best of all, this rental is located only minutes away from Dollywood, Pigeon Forge, Gatlinburg, and the Great Smoky Mountains National Park! 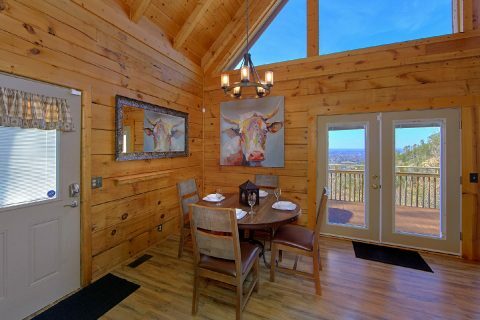 When you return to your cabin after a great day of exploring the mountains, you can look forward to watching the sunset from the deck with a view. 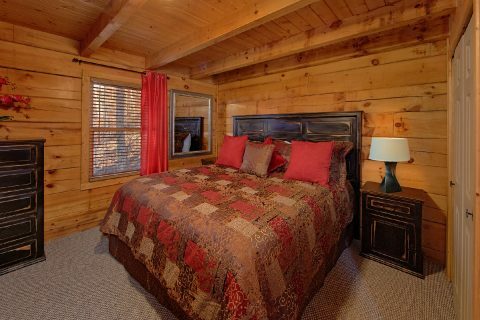 Once you're ready to get some rest during your vacation, you can look forward to this cabin's king-size bedroom. 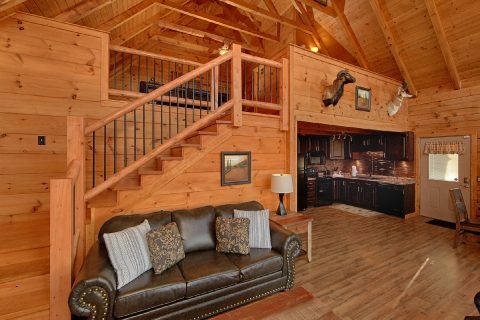 This cabin also has a sleeper sofa, so it can accommodate up to 4 guests comfortably. 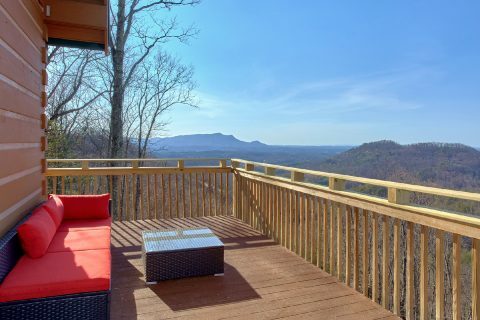 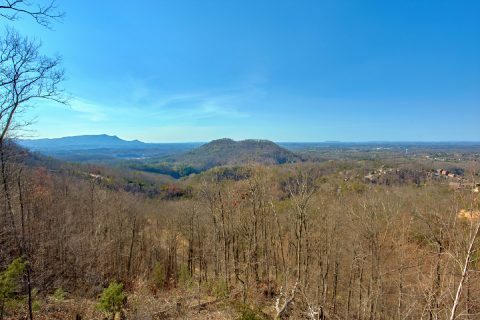 Start planning your romantic getaway to the Great Smoky Mountains of Tennessee when you reserve "The Overlook!" 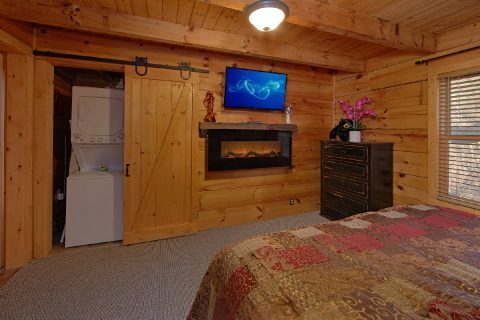 Best of all, you can save on your affordable honeymoon cabin in the Smokies by booking today with Cabins USA Gatlinburg! 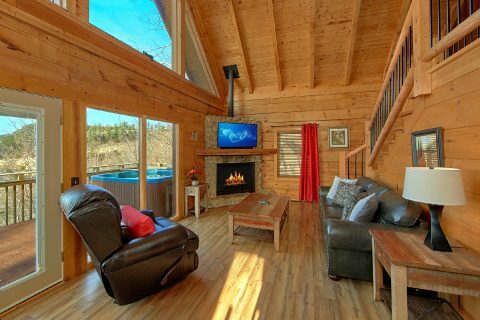 See how much you can save with our special cabin discount!